Kennet Valley TR Group February Club night sees a presentation by Kevin Warrington on how he researched, wrote and published his book. The book begins with the arrival of the company founder from Germany, then this book tells the story of the early years, the rescue of the brand name by the Standard Motor Company following the Second World War and the inspired idea to use the Triumph name on a new sports car - the TR. 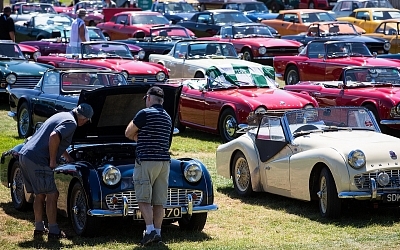 The Triumph TR cars were built on a minimal budget yet would go on to achieve significant success in motor sport and encompass a range of cars that would remain in one form of another for nearly thirty years. 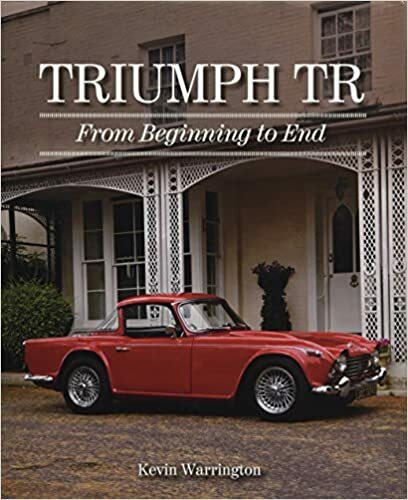 Triumph TR - From Beginning to End gives a complete description of all models, competition success, a study of the derivative models, owners' accounts and living with a TR today. Kevin Warrington is a retired sales and marketing professional who since 2009 has been editor of SIXappeal, the club magazine of the Triumph 2000/2500,2.5 Register. He is a director of the holding company of that club. Kevin is also a member of the TR Register and you may remember he has been a previous Editor of the TR Action and our Southern Area Co-Ordinator. The book does feature KVG cars, you will be able to find who's on the night, see you there!